Land cases pending in courts for more than five years to be concluded, says CJ – Kenyatta University TV (KUTV). All Rights Reserved. 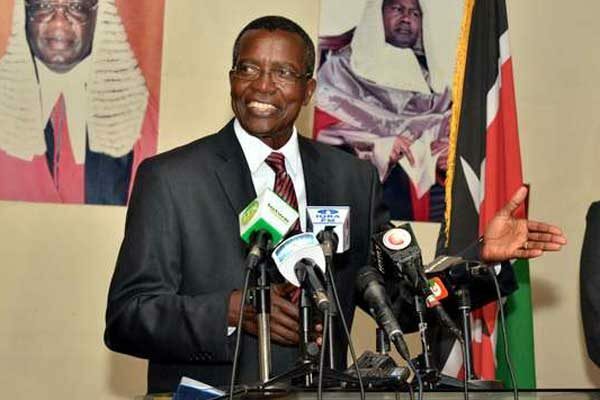 Land cases pending in Kenyan courts for more than five years are set to be concluded by the end of this year, Chief Justice David Maraga has said. Maraga noted that the cases should have been dispensed with earlier but lack of judges delayed the process. The Chief Justice was speaking today at the Nyeri law courts in Nyeri County during an inspection tour of the ongoing judiciary development projects in the region. “There were more than five million land cases, some even lasting for more than ten years but we have done our best to clear most of them. Grand children are pursuing some of these cases because the litigant (s) has passed on, “Maraga said. He disclosed that the Judiciary have given magistrates the mandate to deal with the cases in an attempt to address the shortage of judges and conclude the cases by the end of this year. Maraga said the Judiciary does nort have sufficient funds to employ more judges but was liaising with national government to ensure more judges were employed to curb the acute shortage in the country to ensure quick justice delivery to the public. He pointed out that with enough judges, the Judiciary will embark on handling cases pending in courts for five years and below. Maraga visited the old Nyeri High Court building that is being refurbished before proceeding to Mukurwei-ini law courts where a modern court is being constructed. Chief Registrar of the Judiciary Anne Amadi among other judicial officials accompanied him.